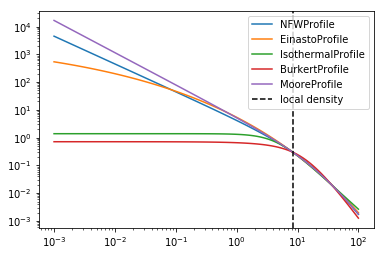 Gammapy has some convenience methods for dark matter analyses in gammapy.astro.darkmatter. 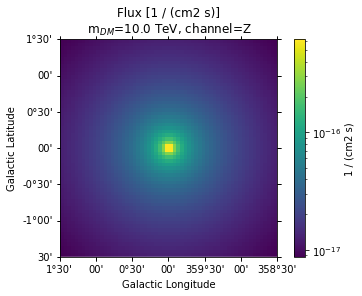 These include J-Factor computation and calculation the expected gamma flux for a number of annihilation channels. They are presented in this notebook. As always, we start with some setup for the notebook, and with imports. No handles with labels found to put in legend. 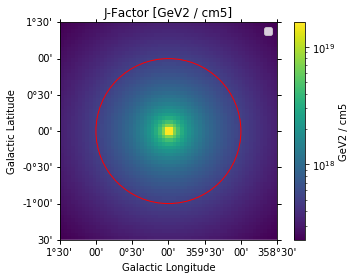 "J-factor in 1 deg circle around GC assuming a "